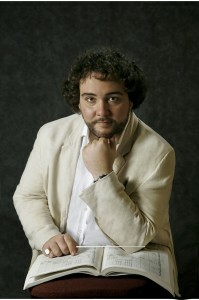 Considered to be one of the most talented conductors of his generation, the Spanish conductor José Miguel Pérez-Sierra shot to fame internationally after becoming the youngest conductor to take the podium at the ROF, the Rossini Opera Festival in Pesaro (Italy), where he conducted Il viaggio a Reims in 2006. That was the beginning of a vertiginous career which has taken Pérez-Sierra to some of the most prestigious theatres and auditoriums in Spain, Italy, France, Germany, Portugal, Georgia, Uruguay and Chile, conducting an extensive opera and symphonic repertoire which spans from Baroque to contemporary music. Precision, technical skill, a sense of vocation, expression and a clean and refined sound are some of the concepts newspaper critics mention most about his work. He studied with Gabriele Ferro for four years and was his assistant at the San Carlo Theatre in Naples, the Massimo in Palermo and the Real in Madrid. He also studied with Gianluigi Gelmetti (Accademia Chigiana, Sienna) and Colin Metters (Royal Academy, London), to later become Alberto Zedda´s assistant from 2004 to 2009. In 2009 and 2010 he was Zedda´s assistant conductor at the Plácido Domingo Centre de Perfeccionament at the Palau de les Arts in Valencia. Much earlier, as a child, he began his musical studies by focussing on the piano with José Ferrándiz, a student of Claudio Arrau. He also studied virtuosity and musical phenomenology with José Cruzado. From 2009 to 2012 he had a close and fruitful relationship with Lorin Maazel, which was fundamental to Pérez-Sierra’s training, attending his rehearsals both in Valencia and Munich. 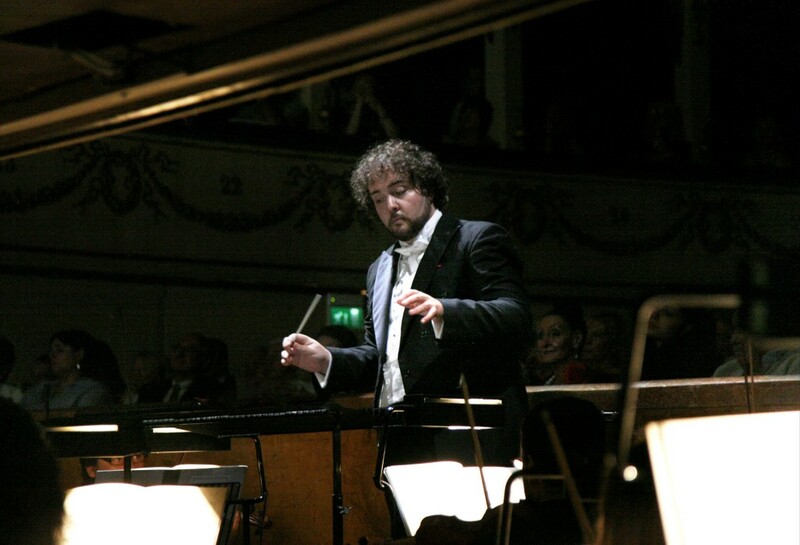 His debut as a conductor was in 2005 with the Orquesta Sinfónica de Galicia. After that came his acclaimed performance at the ROF – where he returned in 2011 to conduct La scala di seta – and since then he has been a regular guest conductor at the Palau de les Arts in Valencia, the Gran Teatre del Liceu in Barcelona, Teatro de La Zarzuela in Madrid, Oviedo Opera, Asociación Gayarre de Amigos de la Ópera in Pamplona (AGAO), Teatre Principal in Palma de Majorca, Asociación Bilbaína de Amigos de la Ópera (ABAO-OLBE), Teatro Municipal in Santiago de Chile, the Rossini Festival in Wildbad (Germany), Städtische Theater Chemnitz (Germany), Teatro San Carlo in Naples, the Puccini Festival at Torre del Lago (Italy), the Auditorium Comunale in Sassari (Italy), the Teatro Verdi in Trieste (Italy), the Festival Musique en Côte Basque in Saint-Jean-de-Luz (France) and the Metz Opéra-Théâtre (France), where he has opened the season for the second time. Some of the orchestras with which he habitually collaborates include the Orquestra de la Comunitat Valenciana, the Sinfónica de Madrid, the Orquesta de Radio Televisión Española (ORTVE), the Filarmónica de Gran Canaria, the Oviedo Filarmonía, the Orquesta de la Comunidad de Madrid, the Sinfónica de Navarra Pablo Sarasate, the Sinfónica de Castilla y León, the Sinfónica de Tenerife, the Orquesta de Córdoba, the Simfònica de les Illes Balears, the Orquesta Clásica de España, the Tiblisi Orchestra (Georgia), the Filarmónica de Montevideo, the Filarmónica de Santiago (Chile), the Robert Schumann Philharmonie, the Orchestra del San Carlo (Naples, Italy), the Virtuosi Brunensis and the Portuguese Orquesta do Norte. He has developed strong ties with the Euskadiko Orkestra Sinfonikoa (Basque Country, Spain) since 2012, always working with symphonic repertoire. In 2013 he recorded the Rossini opera Ricciardo e Zoraide for Naxos and is soon to record a CD with pieces by Mendelssohn for Decca. Highlights among his upcoming engagements are La Bohème at the Opéra de Reims (France), Falstaff at the Teatro Verdi in Trieste (Italy), a concert with the mezzo-soprano Marianna Pizzolato and L’Italiana in Algeri at the Rossini Belcanto Opera Festival in Wildbad, Il Turco in Italia both in the Teatro Municipal in Santiago de Chile and the Metz Opéra Théâtre and La Sonnambula in Bilbao for the ABAO-OLBE season. Recently he has conducted Bruckner´s Third Symphony with the ORTVE, an opera gala in A Coruña and made his debut at the Teatro Real conducting a concert in homage to Montserrat Caballé and a tour of the Basque Country with the Euskadiko Orkestra Sinfonikoa including works by Usandizaga, Illarramendi and Dvorak.